Sample craft beers, bid on unique auction items, and visit with artists about their work at the Dorothy Pecaut Nature Center’s “Nature Calls” fundraiser Saturday, September 23 from 6-10 p.m. at the Sioux City Convention Center. The “blue jeans casual” evening includes nature art, beer tasting, food, raffles, silent auctions, and a live auction. Guests can sample more than 40 brews and craft beers including Oktoberfests, IPAs, ciders, lagers and beer alternatives. In addition there will be some select wines to sample at the event. Complimentary non-alcoholic beverages and delicious food will also be available throughout the evening. “This event is extremely popular. People look forward to it every year because of the relaxed atmosphere and unique combination of artists, beers, and auction items,” said Dawn Snyder, Dorothy Pecaut Nature Center Education Programs Director. “Our goal is to raise funds for conservation education programs and exhibits,” continued Snyder. The Nature Calls event attributes its success to numerous sponsors and local donors, and has become a fun and profitable evening for the Dorothy Pecaut Nature Center’s special projects such as the Nature Center indoor exhibits, the Raptor House, and the very popular Discovery Forest Nature Playscape. A highlight of the event is the Live Auction which includes a one week stay and Fly-in Fishing Trip for six people to Ara Lake Camp in Ontario, Canada; an original Fourth Street Brewing Company of Sioux City Jacket; Kansas City Chiefs vs. Buffalo Bills football tickets; fine jewelry; custom made knife; original artwork; overnight cabin stays; and much more. In addition, more than 60 Silent Auction Items have been donated for the event. Two gun raffles will be featured with proceeds to go toward Summer Youth Programs. The guns include a Kimber Micro 9 two-tone 9mm handgun and a Mossberg .243 caliber Patriot Rifle with a scope. Eleven area artisans and nature-themed vendors will exhibit their items available for purchase at the September 23 event. Items include fused glass, bowls from reclaimed wood, wild honey and honey products, cutting boards, natural-edge slab furniture, graphite wildlife drawings, birdhouses, handmade duck calls and jewelry. Artists include Julia Licht from Artery of Sioux City; Justin & Tori Engelhardt from Wild Hill Honey of Sioux City; J. Mark Lary from Second Chance Woods of Sioux City; Lynn Jarvis of Snowflake Woodcrafts from Hornick; Susan McCulley from Sioux City; Doug Johnson from Johnson’s Mill of Sioux City; Jana Peterson from Autumn Prairie Designs Jewelry of Anthon; Chaeli Kohn from Shady Grove Pottery of Sioux City; Norma Lash from Birds of a Feather of Sioux City; Diane Culver from YLime Beads of Dakota Dunes and Logan Heissel from Buck Creek Custom Calls of Spencer. Advance tickets for “Nature Calls” are available for $30 each by calling the Dorothy Pecaut Nature Center at 712-258-0838 or online at http://www.woodburyparks.org. Beginning September 22 and at the door the tickets increase to $35 each. For more information on contact Dawn Snyder at 712-258-0838. View more auction items, sponsors, artists, and beers featured at the event at http://www.woodburyparks.org. 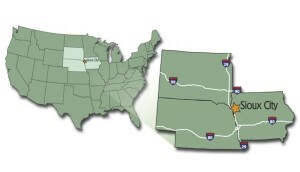 Depart Sioux City (SUX) at 8:30 a.m. – Arrive Dallas/Ft. Worth (DFW) 10:52 a.m. Depart Dallas/Ft. Worth (DFW) at 8:55 p.m. – Arrive Sioux City (SUX) at 10:54 p.m. Depart Sioux City (SUX) at 6:10 a.m. – Arrive Chicago (ORD) 7:46 a.m. Depart Sioux City (SUX) at 12:34 p.m. – Arrive Chicago (ORD) at 2:09 p.m. Depart Sioux City (SUX) at 2:49 p.m. – Arrive Dallas/Ft. Worth (DFW) at 5 p.m. Depart Chicago (ORD) Sioux City (SUX) at 10:30 a.m. – Arrive Sioux City (SUX) 12:03 p.m. Depart Dallas/Ft. Worth (DFW) at 12:25 p.m. – Arrive Sioux City (SUX) at 2:23 p.m. Depart Chicago (ORD) at 8:20 p.m. – Arrive Sioux City (SUX) at 9:55 p.m.
“We’re excited about having the second flight to Dallas/Ft. Worth during the last week of November, perfectly timed for the holiday season, “said Darrell Jesse, Sioux Gateway Airport Board President. Travelers are reminded that anyone flying on American Airlines must be checked in 45 minutes prior to departure. 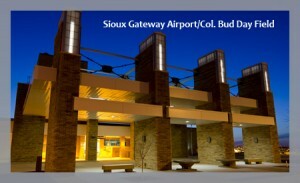 For airline and flight information visit the Sioux Gateway Airport website at www.flysux.com. 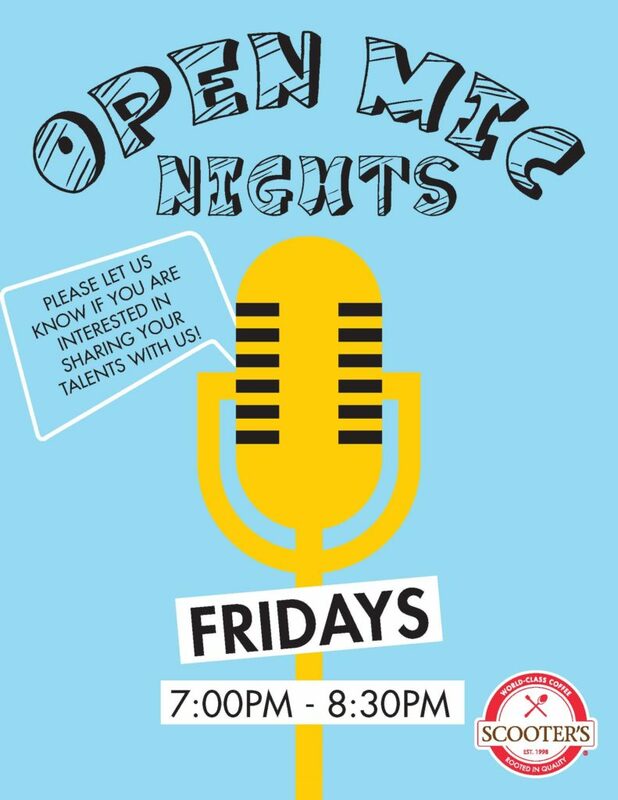 Open Mic Nights at Scooters (1390 Hamilton Blvd) Begin on September 8th! “Open Mic Nights” begin at Scooters (1390 Hamilton Blvd.) on Friday, September 8th from 7-8:30 PM! Under the Fair Credit Reporting Act (FCRA) (15 U.S.C. § 1681 et seq.) employers have two critical responsibilities when using the services of a third-party background screening firm to request background checks on prospective employees. Employers must follow the adverse action process, which is potentially a two-step process. The first step is typically referred to as the “pre-adverse action step” and you cannot send a final “no hire” letter until you complete this step. So, hypothetically speaking, after completing step 1 above you receive the results of a background check from your background screening vendor. The report indicates a criminal history or some other adverse item of information. Based on this information, you may decide not to hire the individual. Now what? Before you take any final adverse action you must first provide the individual with a copy of the report you are reviewing and a summary of their rights as prescribed by the Consumer Financial Protection Bureau. This allows the prospective employee to review the report and alert you if any information contained therein is inaccurate or incomplete and also to act on that incorrect or incomplete information with the background screening company. You should wait at least five business days before taking any final adverse action although realize that in some states and cities, Fair Chance laws and ordinances (aka Ban the Box laws and ordinances) may impose greater time periods. For more about Ban the Box, click here. At a minimum, employers must follow above two steps to comply with the FCRA. Depending on what state or city you are in there may be additional requirements, but these are the basics when doing pre-employment background checks on prospective employees. Which brings me to the class action litigation and a sampling of the cases brought against employers for alleged non-compliance with the FCRA related to steps 1 and/or 2 described above. Class action complaint filed against an airline catering and provisioning company (Case No. 2:17-cv-1298) for allegedly not following the pre-adverse action process. Class action complaint filed against a major retail pharmacy chain (Case No. 5:17-cv-6019) for not providing the proper disclosure that a background check would be conducted and failure to follow the pre-adverse action process. Class action complaint filed against a plasma provider (Case No. 5:17-cv-6018) for not following the pre-adverse action process. There is a very active plaintiff’s bar filing complaints against both employers and background screening companies for alleged violations of the FCRA. They do not discriminate based on type of employer or size of your business. You’ve been warned. But not all is lost as these are curable compliance issues. You start by reviewing your background screening program–your policies and procedures–with counsel versed in the FCRA and state consumer protection laws and guidance that govern background screening. You need to go step by step through the hiring process to understand where you may have deficiencies and need to shore up your compliance. For instance–if, as an employer, you utilize an adjudication matrix or screening standards to automatically classify individuals as “ineligible” for hire and automatically proceed to send a no hire letter we should talk about your background screening program and whether it complies with the requirements of the FCRA. Or, your FCRA disclosure and authorization has a lot of “extraneous language” such as a release of liability language, we should talk. Willful violations of the FCRA are eligible for statutory damages of $100 to $1,000/violation, plus punitive damages and attorney’s fees. One Source The Background Check Company provides TotalCheck screening on applicants, while maintaining superior turnaround time and customer service. Find out more about how One Source can help your company or organization with your background screening needs – call today 800.608.3645. 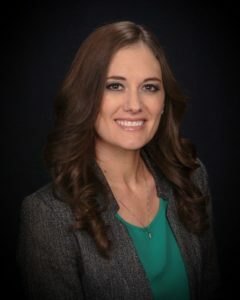 Attorney Lindsey Buchheit of Buchheit Law is newly certified as an Estate Planning Law Specialist (ESPL) by the Estate Law Specialist Board, Inc., an organization accredited by the American Bar Association and affiliated with the National Association of Estate Planners & Councils. Her office is in Sergeant Bluff, Iowa, where she practices law in Iowa, Nebraska, and South Dakota. Ms. Buchheit is currently the only attorney in the State of Iowa to hold the EPLS designation. To become Board-certified as an Estate Planning Law Specialist (EPLS), an attorney must have devoted at least one-third of her practice to estate planning for a minimum of five years. In addition to passing a comprehensive examination in estate planning law, the attorney must also receive recommendations from five colleagues and must establish that she has at least 36 continuing legal education credits within the last three years. By obtaining her EPLS, Attorney Buchheit also earned the designation as an Accredited Estate Planner (AEP) through the National Association of Estate Planners & Councils. The Supreme Court of Iowa does not certify lawyers as specialists and the certification is not a requirement to practice law. Greetings from Sedgwick, Brennan, Talley & Co. and TRN Settlement Services! Greetings from Sedgwick, Brennan, Talley and Co. and TRN Settlement Services! We hope you are having a pleasant and gratifying week! As locally owned businesses and proud members of the Siouxland Chamber of Commerce and South Sioux City Chamber of Commerce, we enjoy supporting Siouxland and our local economy by participating in community events and engaging in volunteer opportunities. Sedgwick, Brennan, Talley and Co. offers abstracting and title services in order to guaranty clean title to the property you purchase and protect your property rights. When the abstracting is finished, TRN Settlement Services takes care of the closing process to make sure your property purchase goes smoothly. The staff at TRN collaborates with all parties involved in the transaction to gather the necessary information, assemble the required documents needed to close on a home or to refinance an existing mortgage, and then present those documents for signing to each respective party. Our Mission: To provide our clients with accurate information and research to complete real estate transactions. We will accomplish our mission through innovative solutions, systems, research, and people working together. Integrity: We will do what we say we will do. We must be honest and forthright in all of our dealings. Innovation: We will find a better way of doing everything that we do every day. Orderliness and Timeliness: We will provide our services by means of a systematic process which enables us to deliver our finished product in the timeframe promised. Accuracy: The foundation of our business is accurate information. Confidentiality: The confidential information we work with is highly sensitive. The information is entrusted to us, and we will maintain its private nature at all times. Team Work and Synergy: Our success depends on contributions and involvement by everyone. Attitude: We will strive to maintain a positive frame of mind. Our positive attitude should be contagious! Sedgwick, Brennan, Talley and Co. and TRN Settlement Services are made up of friendly and knowledgeable Siouxlanders committed to responsive, accurate, and comprehensive service. You can count on us to provide the most reliable and responsive title insurance, abstracting, closing, and escrow services. We are located in the heart of downtown within two blocks of each other. Sedgwick, Brennan, Talley and Co. is located on the main floor of the Ho Chunk Centre and TRN Settlement Services is on the corner of 5th and Jackson streets. Like Sedgwick, Brennan, Talley, and Co. and TRN Settlement Services on Facebook! TRN Settlement Services Sedgwick, Brennan, Talley & Co.
Iowa State University’s College of Design and Iowa State Extension will host an open house just south of historic 4th Street in time for The Big Parade on Thursday, June 29th from 5:00 PM to 6:30 PM at 1014 1/2 Design Place. Have some refreshments, view an exhibit from the College of Design, find out about the Iowa State University Studio Design course to be offered at Design West this Fall, and information about Extension’s 100th anniversary. Doors open at 5 pm and will close in time for people to attend the post-parade activities. For more information, contact Steve Warnstadt at 712-274-8733 ext 1305. The Siouxland Coalition Against Human Trafficking (SCAHT) is a local non-profit whose mission is to work toward abolishing all forms of human trafficking through education, collaboration, and advocacy. We are an all-volunteer organization, and are blessed with many active and supportive contributors. We would like to tell you about one of these people and her special way of helping SCAHT. Karina Fast is a local real estate agent who uses the slogan, “Sell Houses, Save Humans.” The idea was born while Karina sat in a strategic marketing class. They were discussing how to improve the sustainability of non-profit organizations by having them partner with outside businesses. As Karina began to think about how to develop her real estate business, she thought of organizations that she could partner with that shared similar goals. That is when she connected with Linda Holub, Co-Chair of SCAHT. From a business perspective, Fast assessed what she could offer the organization: website views from her website, paid advertising with both her real estate business and SCAHT events mentioned, and blog posts to promote awareness. With each house that she sells, she has committed to contribute $100 to SCAHT. She values safe, thriving communities as does SCAHT and desires to work together toward this common goal. She would love it if other agents would join her in this effort. Siouxland’s “Coffee with a Cause” is Your Local Source for Customized Gifts! Read more on "Siouxland’s “Coffee with a Cause” is Your Local Source for Customized Gifts!" » Jumpy Monkey® Coffee Roasting Company has had a mission since 2003 to provide meaningful employment to individuals with disabilities. We are currently roasting our specialty coffee out of Sergeant Bluff. Through a partnership with NPI in Sioux City, we provide jobs to local individuals who pack the coffee into 12oz, 2oz, and 5lb bags. 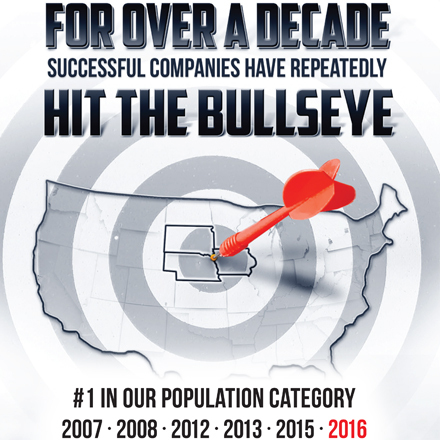 Countless more jobs are provided to individuals throughout the Midwest through Jumpy Monkey distributors. 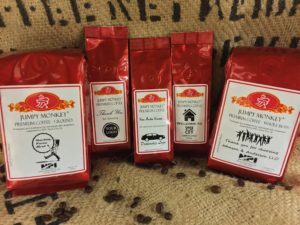 Besides finding Jumpy Monkey® on your local grocery store shelves and at JumpyMonkey.com, there are two main outlets for Jumpy Monkey® Coffee. These are fundraisers and business gifts. Jumpy Monkey® has become known for our fun customized labels, which can include anything from a school’s mascot to a clever message from a business. Giving a custom bag of Jumpy Monkey® specialty coffee is a great way to show your customers that you value their business and their loyalty. These bags can include a logo, contact info, a message from you, or even a special custom name for one of our blends/flavors! Contact us today to learn more about ordering customized bags for your customers, friends, family or anyone who deserves a delicious cup of specialty coffee! For more information about fundraising, visit our website at www.jumpymonkey.com, or email info1@jumpymonkey.com. Mention the Siouxland Chamber of Commerce blog to unlock special promotions for either fundraising or custom bags! 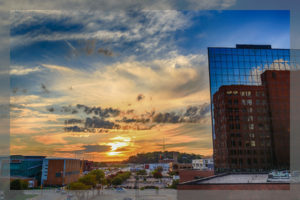 ranks first in the nation in its population category for economic development, according to results released today by the Managing Editor of Site Selection magazine. The Sioux City MSA was also recognized as the top community for populations under 200,000 in 2007, 2008, 2012, 2013, and 2015. The Siouxland metro ranked second in both 2009 and 2014 and finished third in 2006. The metro region has ranked in the top three nationally in its population category in a remarkable nine of the last eleven years. The Siouxland MSA ranked first in the nation for the 2016 calendar year based on the number of qualified economic development projects for communities with populations between 50,000 and 200,000 people. TSI Board member, Charese Yanney, who serves as the Managing Partner of the Guarantee Roofing & Siding Company, introduced Mr. Bruns at the press conference and thanked him for traveling from suburban Atlanta, Georgia to present the award. Yanney also congratulated the elected leadership of the communities and counties who collectively contributed to Siouxland’s success, presenting each with an inscribed award commemorating the national recognition.